This has become a favourite smoothie of mine as of late, especially after a good swim or a tough workout. Even without the hemp, it’s pretty killer. The base ingredients are pineapple, banana, spinach, celery, cucumber, lime and avocado, which when blended together taste like a tart-and-tangy treat, almost margarita-esque in its sweet and sour balance (hello salt-rimmed glass?). This is also good with a bit of fresh mint. As far as post-workout nutrition is concerned, the smoothie has lots of good things going for it. The obvious element of good carbs, vitamins and nutrients from all the fruit and vegetables. Celery and banana in particular contain electrolytes (sodium and potassium) which you lose when you sweat. Meanwhile, the hemp and flax seed add a boost of protein. The avocado add fiber and make it creamy delicious. When I swim in the morning, this is my go-to breakfast. It’s filling, nourishing, refreshing and super tasty. And to really splash out, garnish with coconut flakes, pumpkin seeds, bee pollen and – my favourite – a pinch of good salt such as Maldon Sea Salt or some of that fancy Himalayan stuff. 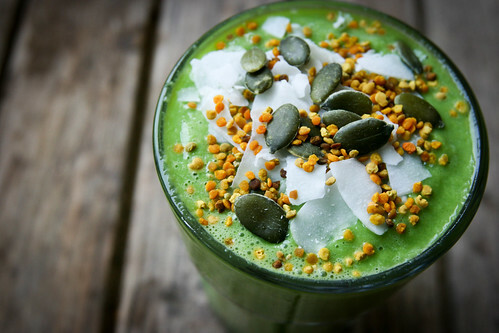 I make this smoothie by juicing the veggie bits then blending with the hemp protein powder, avocado and flax seeds, but you can just as easily put everything in the blender with a bit of water and blend away. The juicer and blender I’m using at the moment the Froothie Optimum 400 Slow Juicer and the Optimum 9400 Blender, which together have been cranking out super silky results, but other blenders and juicers will work, too. If you have a juicer, juice the celery, pineapple, cucumber, lime and spinach. Blend the juice with the hemp protein powder, avocado, flax seeds and a few ice cubes until smooth. If you don’t have a juicer, make sure everything is cut into blender-friendly pieces. 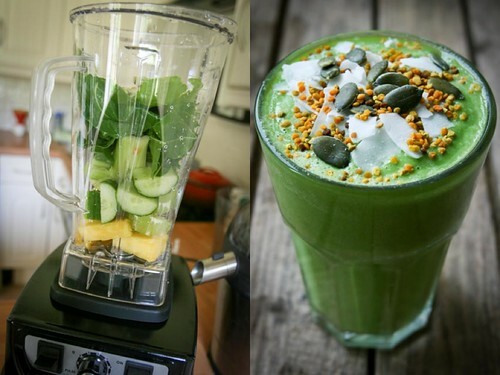 Put the pineapple, cucumber and lime juice at the bottom of the blender, then add everything else. 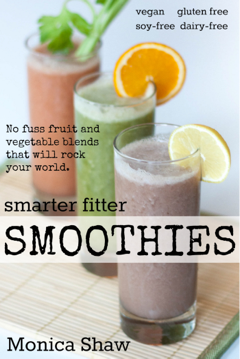 Add a enough water to blend everything to a smooth happy consistency. You always make the most enticing sounding smoothies, Monica. And you are being coy, my dear. I saw your handstand press-up thingy on IG – well impressive. You deserve two of these! This as ever looks wonderful. I already add fl to a lot of my shakes and cooking, but hemp is something I am just looking into adding to dshes. I’ve tried this one recently and must say it is the best green smoothie I’ve tried so far, simply delicious! One quarter of a whole pineapple. 🙂 I’d estimate about 1 cup? But add more or less to taste. Experiment and have fun!